If the kitchen is the heart of the house, the living room is its soul. It is there that we love to spend blissful evenings with a book, resting after a hard day. It is also there that we watch TV or play board games with the family. It is therefore extremely important that this place is inviting and cozy. 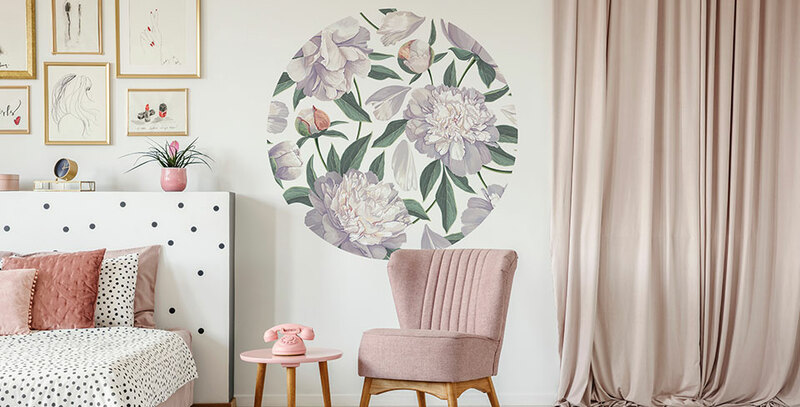 Using wall stickers for the living room is a great way to enhance your home. This unusual accessory helps you personalize your four walls, and can be changed as often as you like. Stickers for the living room are thus a great solution for those who like variety in their surroundings. 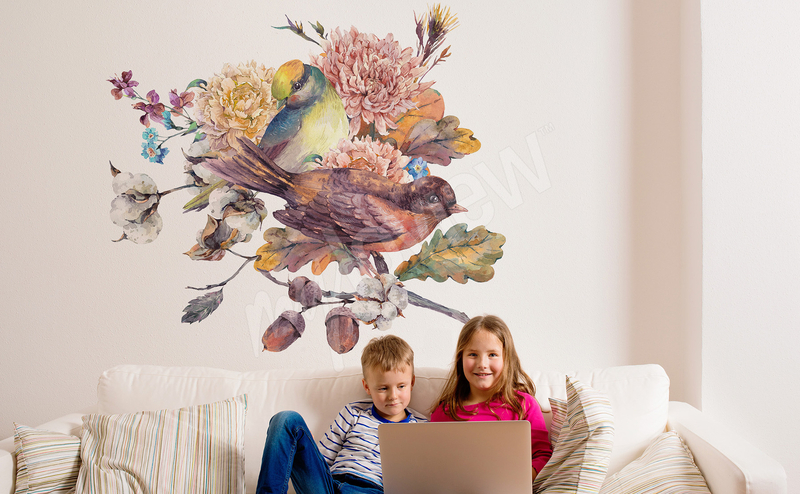 Wall stickers offer a choice of various patterns, colors and motifs. Everyone, even the most discerning interior designer, is sure to find something that perfectly suits their taste. The most popular ones include romantic designs, created especially for all those with their heads in the clouds. Wall stickers for the living room of this type feature, for example, motifs of trees dropping leaves in the wind. The tilted bough and single leaves arranged on the wall to form a long path are a great addition to minimalist interiors. In spaces without many other ornaments, this decoration draws your eye and instantly soothes your frayed nerves. Such a view will take your thoughts to a quiet, peaceful place, by a lake at sunrise – or another favorite spot. Dreamers will also like floral motifs or designs featuring, for example, birds in flight. Displaying inspirational inscriptions became fashionable some time ago. Letters arranged to form the word "home", motivational quotes on the fridge or handwritten boards in the hallway are a great way to personalize your space. If you would like to add this style of decoration to your home, inscription wall stickers for the living room are the perfect solution for you. Placing your favorite quotation in a place such as the living room will ensure it is always visible and can lift your spirits every day. Have fun with fonts, letters, colors and other interesting motifs. These stickers work well in fashionable, industrial interiors with only a few, carefully thought-out accessories. The inscription can then take up a central place on the wall, without you worrying that it may give the interior a cluttered feel. Your own text or a quote from your favorite movie or book will work best as an inscription displayed in the living room. Wall stickers for the living room with an inscription are a great way to ensure a daily dose of inspiration. The right inscription can give you an instant boost! Sometimes you may find it difficult to decide whether you prefer a motivational inscription or a design featuring something specific. It's perfectly normal – with so many options to choose from, it is very difficult to decide. However, if time goes on and you still don't know if you want the stickers for the living room to feature a bird, tree, flower or maybe an inscription, luckily it's not the end of the world! Stickers with abstract motifs offer great compromise. These "something-from-nothing" designs are real modern art, ideal for those who want to show their unbridled nature in an unconventional way. 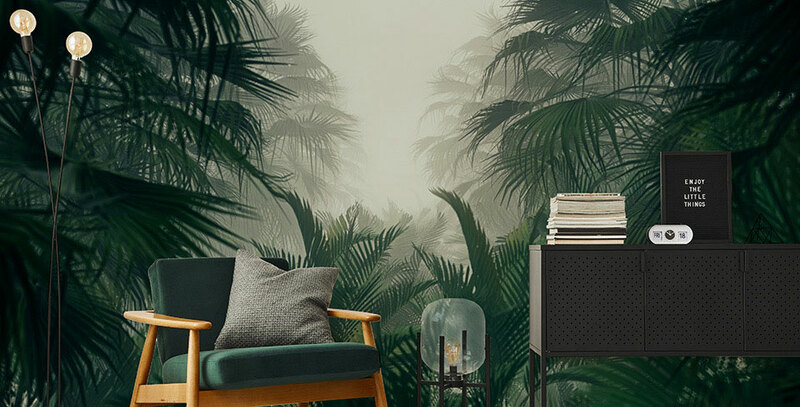 Abstract stickers are a perfect match for eclectic interiors, full of mystery. In a place where every piece of furniture and every accessory has its own story, there is no room for anything clichéd. An abstract pattern is one of a kind and is bound to delight anyone who values uniqueness. Another quality of these decorations is also that thanks to the wealth of designs and colors they suit any interior. Earlier, we wrote quite a lot about the romantic style, but we know very well that not everyone is a dreamer. For those who prefer accessories with more of an edge, we also have exotic stickers – for example, depicting wild African animals. The sight of a tiger, lion or a multi-colored parrot will give you a boost of energy every day, making you dream of distant travels. 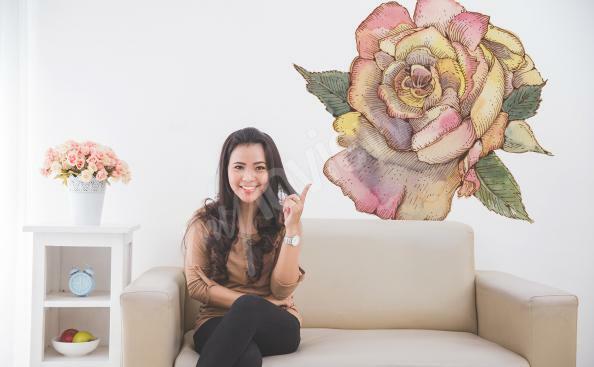 Such living room wall decor stickers are a great accessory for people who know what they want from life and are not afraid to voice it. They are also a great addition to any interior that can be easily adapted to any style. Browse through our offer – you are sure to find something for yourself here!